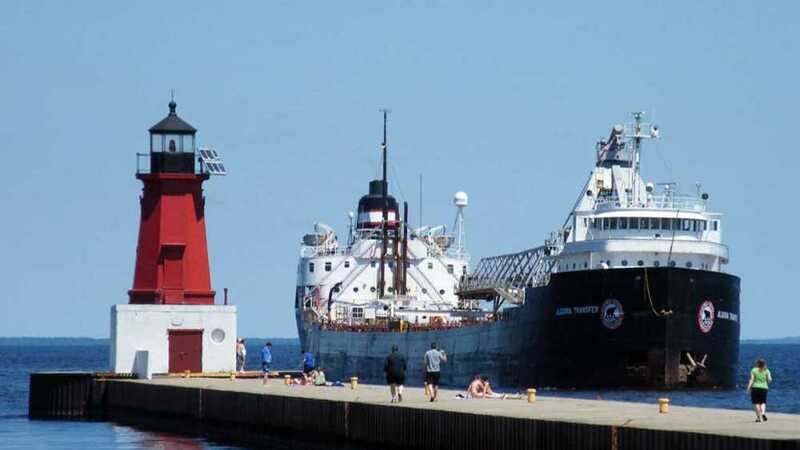 The first light was built in Menominee in 1877 to guide ships to the Menominee River. The current tower was built in 1927. The 34-foot tower was painted white and integrated with an attached fog signal building. The light was automated in 1972 and at that time the iron catwalk was removed from the pier. The tower was then painted red and relocated to a concrete platform in the center of the crib. The octagonal cast iron lantern room once housed a fourth order Fresnel lens. Today, a 300mm optic lens operates.